Some of Earth’s greatest unknowns lie miles underwater within the trenches of the seafloor. More people have visited the moon than the deep oceans. Just three — oceanographers Jacques Piccard and Don Walsh, and filmmaker James Cameron — have reached the depths, where darkness seems to swallow everything and pressure exceeds 800 times that felt at sea level. But two more explorers may soon join their ranks. If their submarine holds true, they may even exceed the accomplishments of their predecessors. In a new mission called Five Deeps, Wall Street investor Victor Vescovo and scientist Alan Jamieson aim to explore these inhospitable places. They’ll use 3D sonar to map the seafloor and on-board instruments to collect samples along the way. 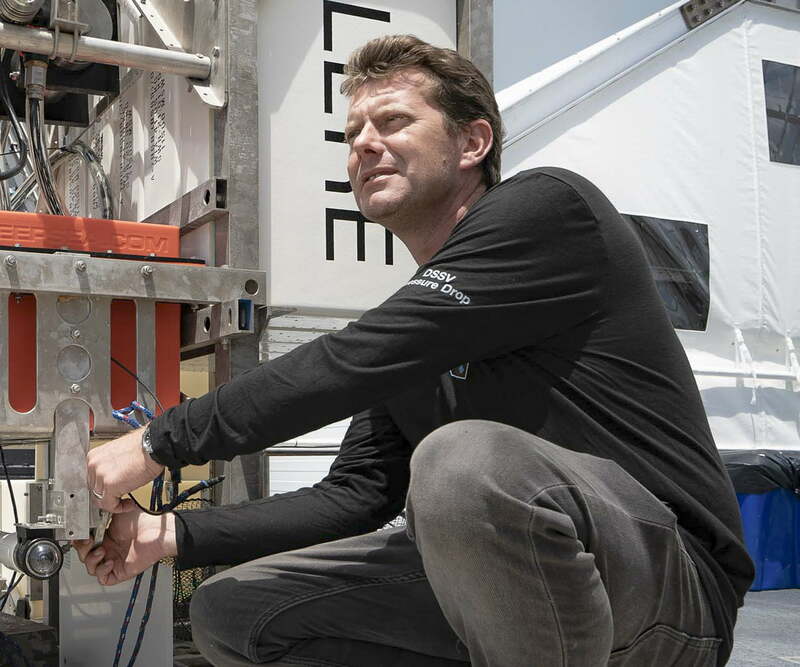 The explorers aim to traverse 40,000 nautical miles over the course of a year, descending through more than 236,000 feet of water, and, for the first time, reaching the bottom of the world’s five oceans. 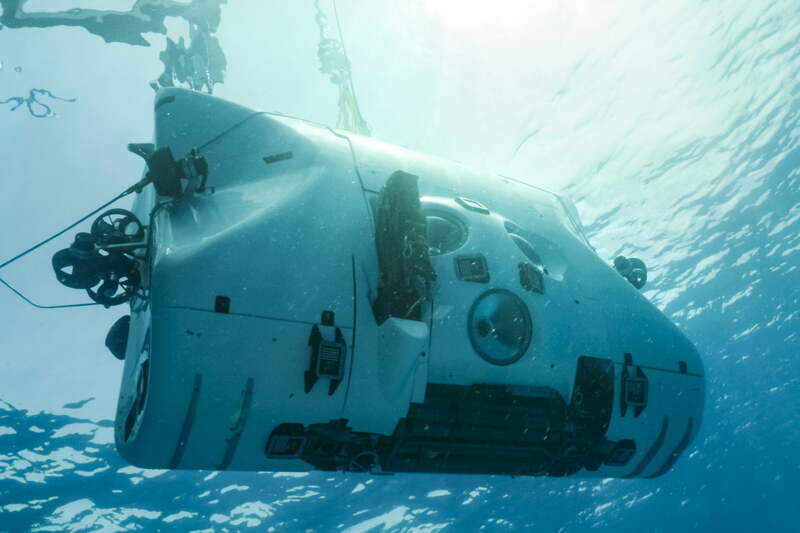 The journey will be undertaken in a Triton 36000 submarine — a $48-million-dollar, two-seater vessel called Deep Submergence Vehicle (DSV) Limiting Factor. Vescovo will initiate the expedition alone in December. We asked Vescovo and Jamieson about their mission and what they hope to gain from the expedition. The interview has been edited and condensed for clarity. What first motivated you to launch the Five Deeps Expedition? Vescovo: Well, I have been to the poles and to the “Seven Summits,” the highest peak on each continent, and I was looking for a new challenge. I discovered that our depth of ignorance about the deep oceans is quite dramatic. Four of the oceans have never even had a human being explore their deepest depths. In fact, we don’t even know with absolute certainty where the bottom of four of them are. What is the expedition’s ultimate goal? Vescovo: To dive to the deepest points of the world’s five oceans. A number of additional goals have also been set. 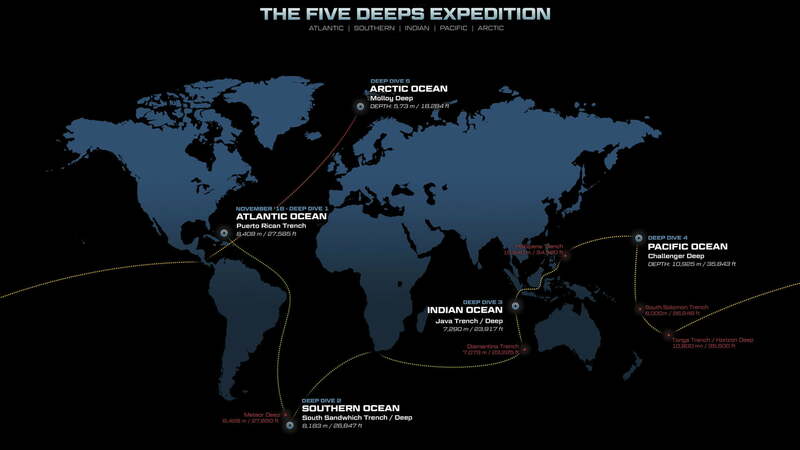 The expedition aims to map many areas of the deep ocean on its voyage. 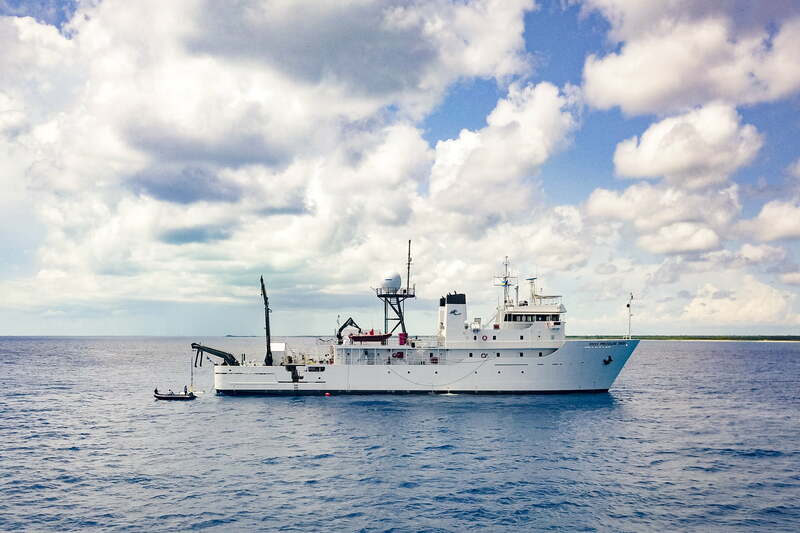 The team will collect samples to be used in research involving everything from habitat mapping, describing new geological features, discovering new species, and examining genetic connectivity and biological adaptation to these extreme marine environments. 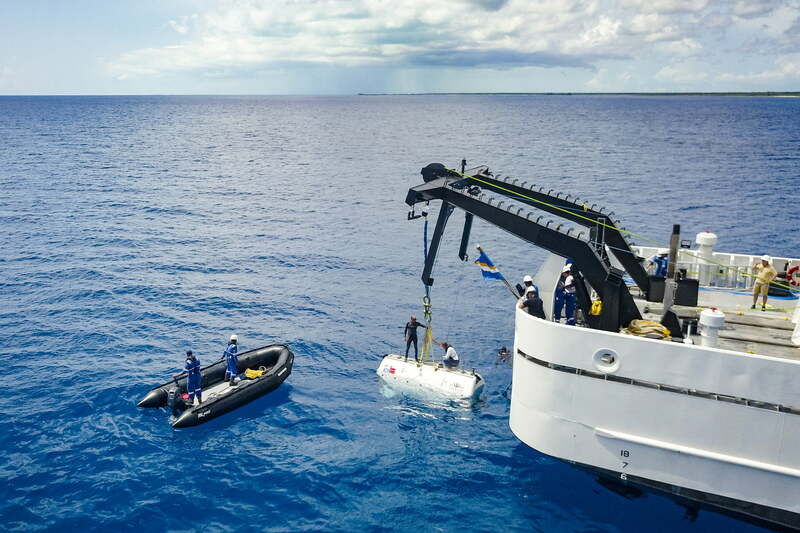 We also aim to provide mankind with a new technical solution — a fully reusable, commercially-rated, full-ocean-depth submersible — that will provide the ability to regularly explore the Earth’s most remote and harsh frontier. In what major ways does the Limiting Factor differ from the other submersibles that have made it to full ocean depth? Vescovo: The Limiting Factor is one of the most uniquely-capable, piloted vehicles in seafaring history. Typically, first-generation deep-water subs were filled with lighter-than-water fuel to allow for buoyancy much like a balloon that floats in the air. The Limiting Factor is constructed with glass-bead based “syntactic” foam which is far more durable and able to withstand the enormous pressure placed on the sub as it descends thousands of meters beneath the waves, and do so repeatedly without significant deformation or stress fractures developing over time. The two-person control capsule has space for a pilot and passenger. It’s constructed out of titanium alloy and has three viewports with acrylic-based lenses. 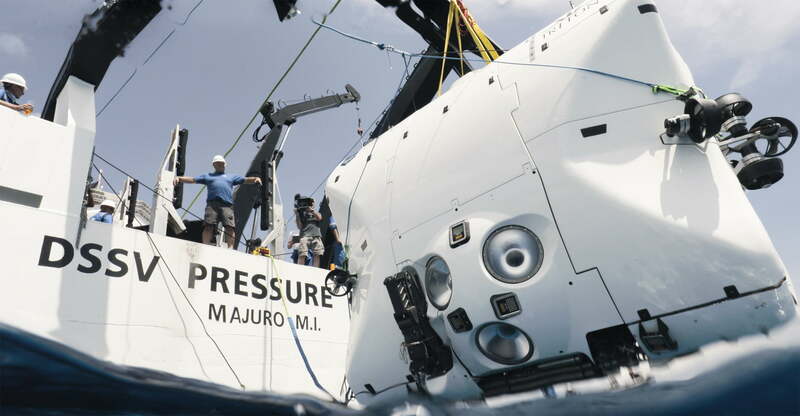 The capsule and its components have been repeatedly stressed to 120 percent of full ocean depth [pressure] with no negative anomalies detected. 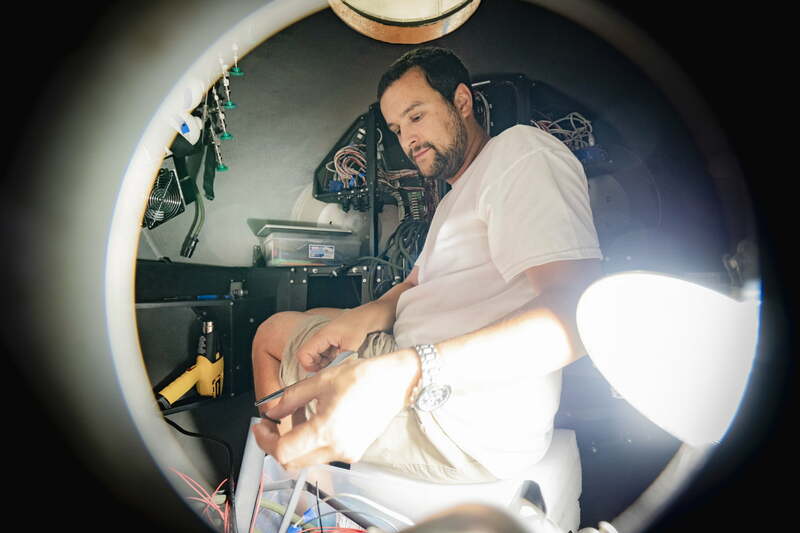 How will the submersible pilots navigate through the dark, uncharted territory? Vescovo: Pilot situational awareness is very good with three unobstructed downward and forward portholes, as well as standard-definition navigation cameras, high-output external LEDs, and four additional high-definition, low-light cameras for recording the entire dive. What is your goal for specimen and sample collection while down there? Alan Jamieson: Each organism and sample will have adapted to withstand the intense pressures of the Hadal zone, the near-freezing temperatures at great depth, low food supplies, perpetual darkness, and frequent seismic disturbances. The study of these samples will provide insight into how the inhabitants of the five deeps have adapted and evolved to withstand the extreme environment in which they live, and how seismic activity can influence diversity, population size, age, and reproduction. What are some of the biggest challenges you foresee in the expedition? Vescovo: The largest challenge is the unknown. An expedition of this magnitude, operating in remote locations with a prototype vehicle presents a great number of potential variables. Each must be very well planned for. Many of the locations are very remote and will require us to operate with complete autonomy. As we traverse from the Arctic to the Antarctic and across all five of the world’s oceans, the ship will traverse through areas notorious for challenging sea conditions. The submersible must be launched and retrieved from the ocean safely before and after every dive. As a global expedition, working in remote locations lacking infrastructure, the logistics around crew movements, medical evacuation, port calls, refueling, provisioning, equipment repair, and permits required are seemingly endless. 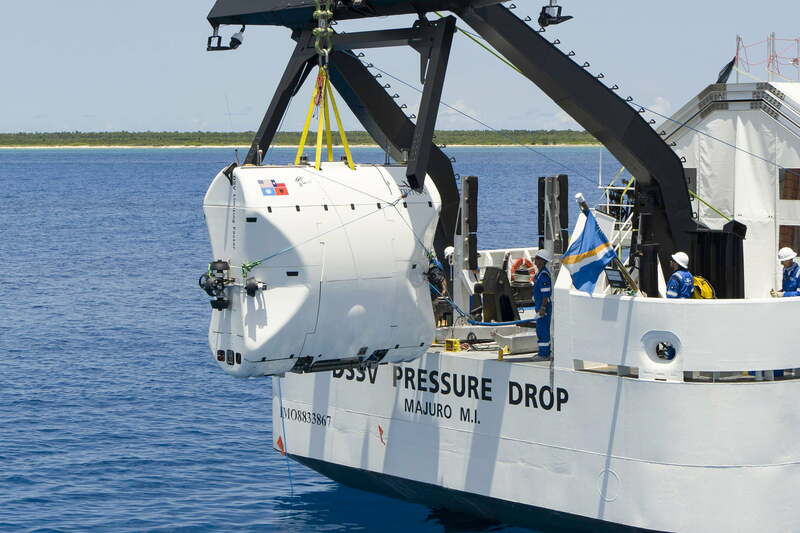 Accompanying the submersible’s missions will be Pressure Drop on the surface. What role will this research vessel play? 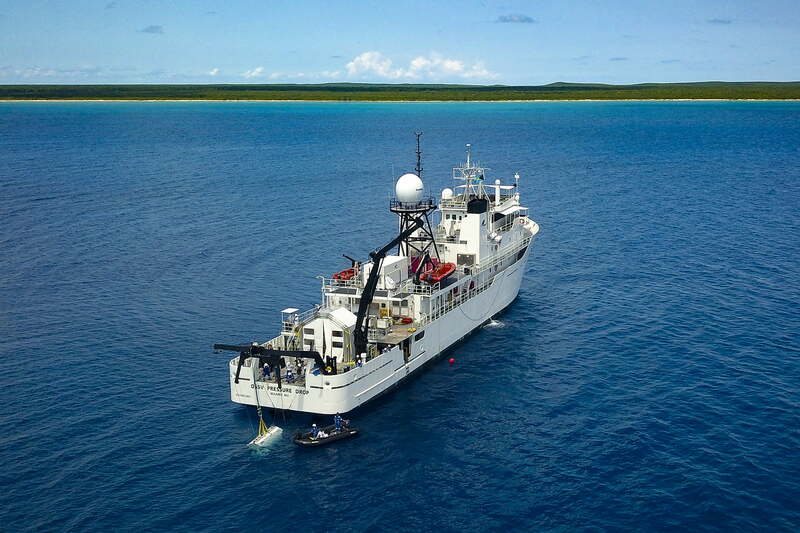 Vescovo: The submersible’s support ship is equipped with a state-of-the-art sonar suite that will allow for precise mapping of the ocean floor allowing the expedition to identify and verify the deepest parts of each ocean. The vessel also features both a dry and wet lab used to examine specimens brought back from the depths. What sort of instruments will Pressure Drop be equipped with? 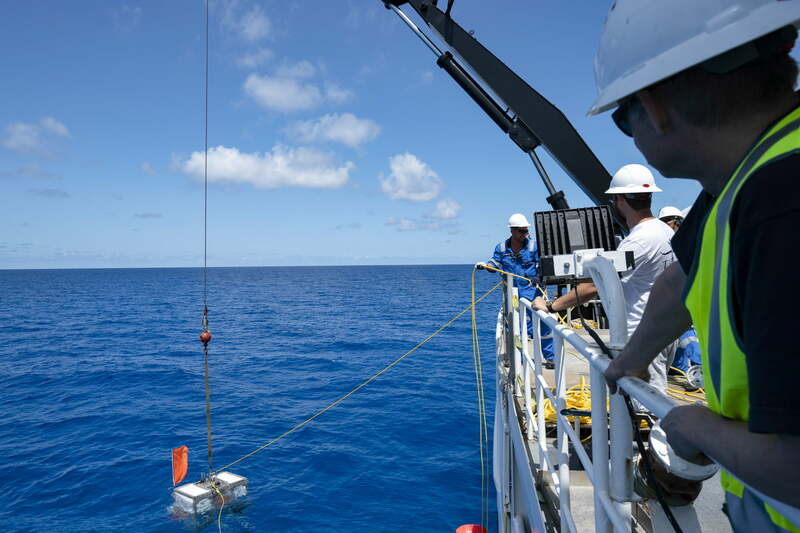 Vescovo: A multibeam echo sounder allows the team to both map the topography of the ocean at extreme depths and aid in planning and execution of each dive. The sonar plays an important role in determining with great accuracy the true depths of the five deeps. In some cases, the sonar will be used to clarify inaccuracies in previously documented depths and may ultimately lead to the reclassification of some of them, as well as potentially naming newly discovered or previously unnamed features. Plus, we will measure all the locations with the same sonar, using the same technicians, in the same year, and this will help minimize measurement errors across the discoveries. A few landing vessels will also tag along for the expedition. Can you describe these vessels and their roles? Jamieson: There are three, Flere, Skaff, and Closp. These landers will support the submersible and carry out additional science tasks. They’re identical in design and payload. The primary communication instrument is an acoustic modem that can help guide the Limiting Factor so it can accurately navigate the seafloor and allows the scientists aboard the Pressure Drop to communicate with the lander. 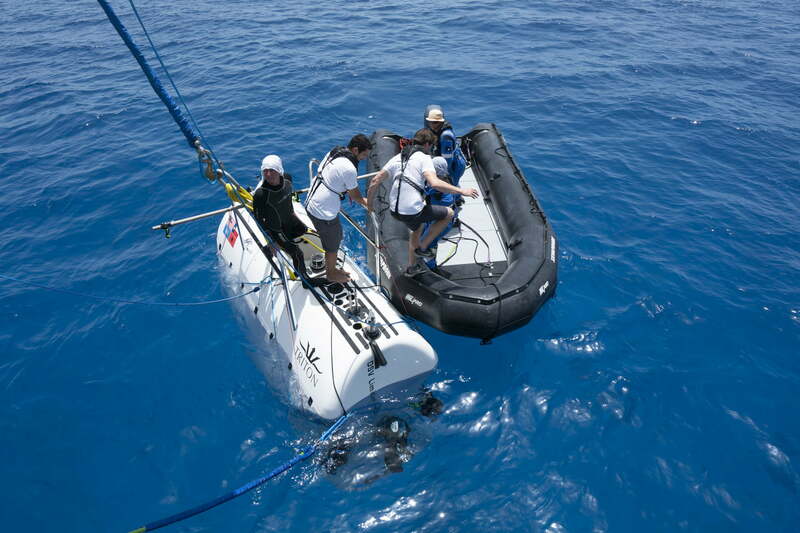 The scientific cargo comes in two parts: submersible interactive and autonomous. 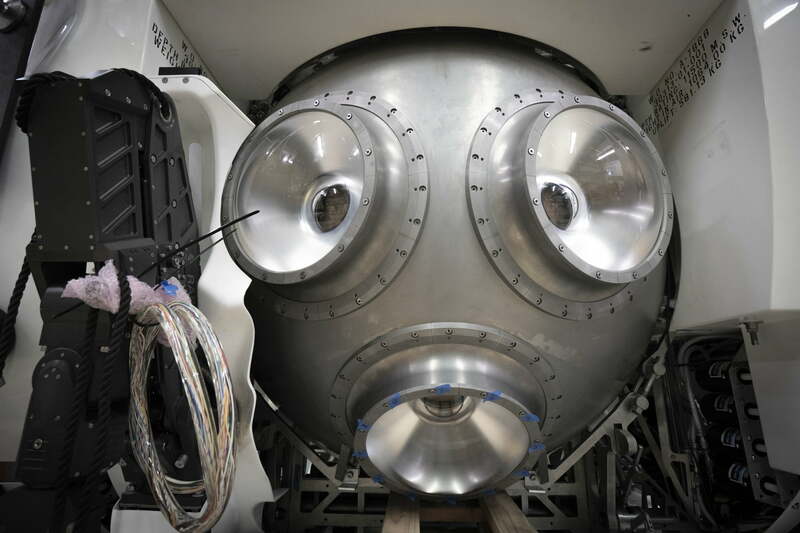 The submersible interactive gear includes a video camera and light, as well as a “bio box” where geological and biological samples collected by the sub are stored. Skaff is equipped for a rack of six “push core” samplers for specimen collection. The autonomous science gear includes a conductivity, temperature, and depth sensor to record the conditions in the water column during descent and ascent, when near the bottom, and when on the seafloor. Each lander has a time-lapse camera system to record the presence and behavior of any mobile creatures, and two sets of baited traps to recover samples. The landers will collect 10 liters of bottom water for deep microbial work, which complements the sediment samples from the push cores. The Closp lander has an autonomous motor driven corer, rather than push cores, that will recover a square section of sediment for analyses into [human-caused] impacts and further species identification. What do you ultimately hope gain from this expedition? 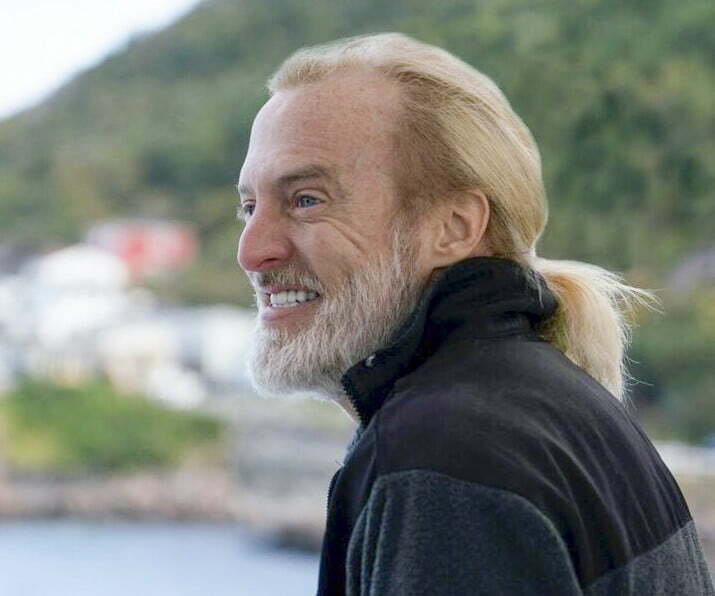 Vescovo: Not only will humans be able to finally obtain reliable access to some of the world’s most unexplored and punishing environments, they will have the ability to study organisms and other undiscovered samples which promise a world of new scientific discovery in many areas of biological, geological, and oceanographic study. We hope that this unearthing of knowledge could propel scientists across the world into a new era of exploration and innovation. The Limiting Factor will provide a platform for all future marine scientists to reach any depth, in any ocean, from almost any suitably-equipped support vessel. 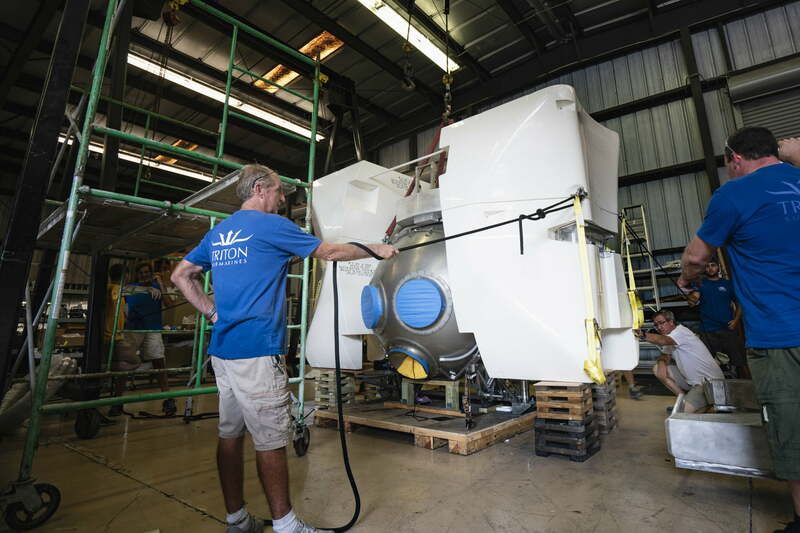 Additional submersibles can be constructed from the same design and quickly certified given the commercial certification the design has already achieved.